Want to have an kids or adults aerial birthday, bachelorette party, or another fun group celebration? The Aerial Lab is available for such events; and we can tailor the lesson to what you’d like to try out! 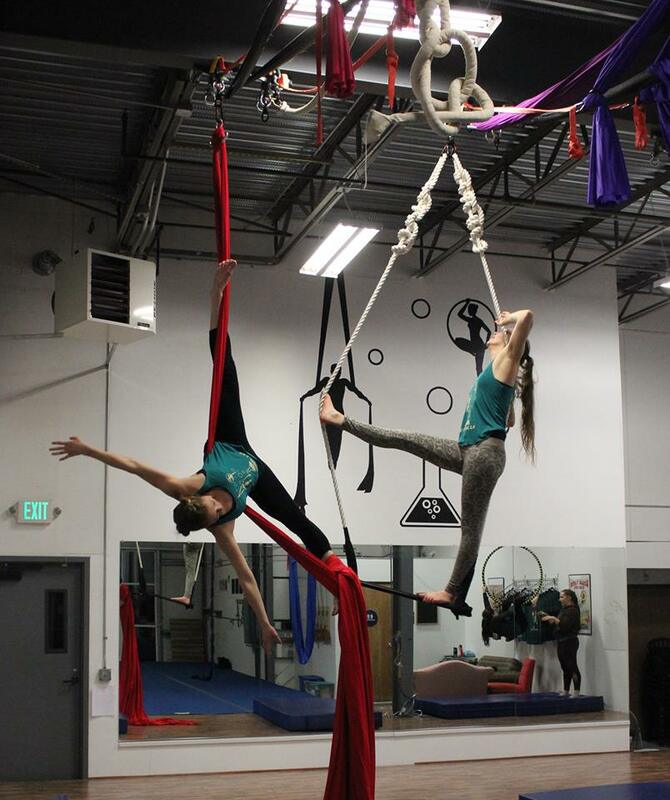 Aerial yoga, aerial silks, trapeze, lyra, or aerial rope…make your event a unique and exhilarating experience! We can host you in our Grass Valley studio, or with our single point-portable aerial rig we can travel to you.